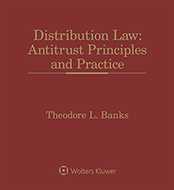 The provider and affiliated insurer were granted summary judgment on the antitrust claims because they failed to allege a geographic or product market definition. A workers compensation cost containment provider’s antitrust claims against a third-party administrator and an insurer failed for lack of a market definition and standing, the federal district court in Erie, Pennsylvania, has decided in granting the defendants summary judgment. The plaintiff alleged that the defendants sought to drive it from the market for workers’ compensation cost containment services. But the plaintiff failed to identify a relevant product market or geographic market, offering a "cluster" product market and limited geographic market, both of which the court rejected. The claims would also fail on substance, because the plaintiff failed to show that its competitor possessed monopoly power and did not demonstrate an exclusive contract, concerted action, or an unreasonable restraint of trade. There was no evidence that the choice by the defendant to reject the plaintiff’s services was anything other than a unilateral decision (Premier Comp Solutions, LLC v. UPMC, March 27, 2019, Cercone, D.). Background. Plaintiff Premier Comp Solutions provides cost containment services to workers’ compensation insurers and third-party administrators (TPAs). Defendants UPMC Benefit Management Services and UPMC Health Benefits, doing business as WorkPartners, provide workers’ compensation TPA services to insured and self-insured employers, and UPMC Health Benefits also is a workers’ compensation insurance carrier in Pennsylvania. Premier brought an antitrust action alleging that the defendants sought to drive it from the market for workers’ compensation cost containment services. According to Premier’s allegations, defendant WorkPartners asked Premier in February 2014 to perform an extensive medical bill review and repricing test audit in order to compare Premier with competitor MCMC. The audit results indicated that Premier’s performance was superior, but WorkPartners nevertheless awarded its repricing medical bill review business to MCMC. Premier also alleged that WorkPartners used Premier’s panel database to develop its in-house database, and then barred WorkPartners’ employer insureds from using Premier. Premier alleged that, as a result of such conduct, numerous employers that could benefit from Premier’s cost containment services were told by WorkPartners that they could not do business with Premier. The only remaining option was to purchase cost containment services from WorkPartners and UPMC. Premier filed suit, bringing Sherman Act and misappropriation of trade secrets claims. The court previously denied the defendants’ motion to dismiss. Before the court were the defendants’ motions for summary judgment. Market definition. The court found that Premier failed to define a relevant product market. Premier argued that it could omit consideration of cross-elasticity of demand and that the court should consider a "cluster" market—a type of market usually used when all or most relevant market participants sell all or most of the relevant products and have similar shares in each of the segments. But here, the competitors identified by Premier do not offer the same services as Premier included in the "cluster." For example, WorkPartners does not offer itself as a competitor in the market for cost containment services. Premier also failed to identify a relevant geographic market. Premier proposed "western Pennsylvania," but without any quantitative analysis. The market for services provided by Premier is broader than western Pennsylvania, especially since Premier offers its services in 21 states and its competitors for cost containment services compete for customers across the entire state, the court explained. Standing. Premier failed to show that the anticompetitive effect of WorkPartners’ alleged illegal anti-competitive activity created market-wide injury, as opposed to merely injury to Premier. Premier, as a vendor for WorkPartners, was in a vertical relationship as was not a direct competitor. 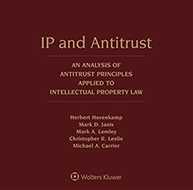 The termination of a vendor does not produce an antitrust injury, the court noted. And, other than WorkPartners, Premier is free to work with employers insured by all other insurance carriers and TPAs in Pennsylvania. 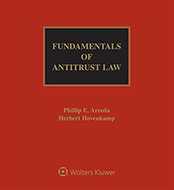 Substance of antitrust claims. The court found that even if Premier could demonstrate standing, its claims would fail on the merits. Its attempted monopolization claim would fail because Premier failed to show that WorkPartners possesses monopoly power in workers’ compensation insurance and TPA services. WorkPartners began selling workers’ compensation insurance in 2010 and did not have a market share higher than 3 percent in any year 2011-2015. Even if the geographic market was restricted to western Pennsylvania, WorkPartners’ share would only be 6.1 percent. Also, the number of competitors in Pennsylvania in the workers’ compensation insurance and workers’ compensation insurance TPA markets indicated that there are few barriers to entry in those markets. Premier’s restraint of trade claim also would fail because Premier could not show an exclusive contract, concerted action, or an unreasonable restraint of trade. Although WorkPartners refused to replace MCMC with Premier despite a finding that Premier would be a better partner, that was insufficient to show a restraint of trade because the Sherman Act does not require competitive bidding, and there was no evidence that the choice was anything other than a unilateral decision by WorkPartners, the court held. Also, Premier could not show anticompetitive effects in a relevant market. To the extent Premier claimed that UPMC, UPMC HB, and WorkPartners conspired, the claim failed because under the Sherman Act, a parent company is incapable of conspiring with its wholly owned subsidiaries. The court also rejected Premier’s argument that alleged misappropriation of its trade secrets created a per se violation of the Sherman Act, as business torts do not create per se violations. The court declined to exercise supplemental jurisdiction over Premier’s state law unfair competition claim. This case is No. 2:15-cv-00703-DSC. 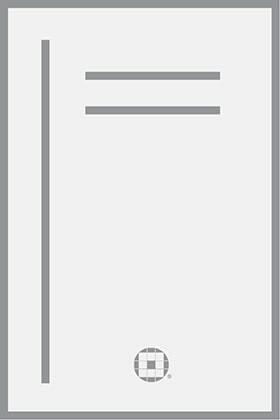 Attorneys: Stanley M. Stein (Stanley M. Stein, PC) for Premier Comp Solutions, LLC. Daniel K. Oakes (Axinn, Veltrop & Harkrider LLP) for UPMC, UPMC Benefit Management Services, Inc. d/b/a UPMC WorkPartners and UPMC Health Benefits, Inc. d/b/a UPMC WorkPartners.